4 Ways To Boost Your Curb Appeal With Landscaping Rocks | Central Services Co. Inc.
Landscaping rocks can improve your curb appeal if you use them well. These stones are versatile, aesthetically pleasing, and fit most landscaping plans. Moreover, they are easy to maintain. This last point is what we are focusing on. Using various ideas, landscaping rocks can make your property more attractive. Read on to learn how. You may want to lay the landscape rock yourself, but that’s not a good idea. Though DIY projects work, it is better to let professionals handle the job. Also, some projects can be labor-intensive. This makes it difficult for an individual. Professional landscapers have enough people to do the job and at a faster speed. 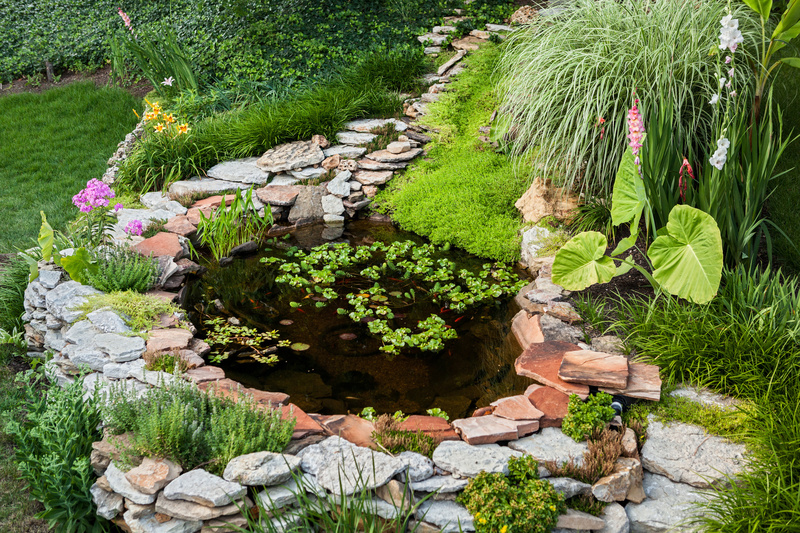 Find a range of large rocks and boulders, and then put them in a circle in the center of your yard. There has to be a mixture of different rock textures and sizes. Then, this area can get a variety of flowers and plants with different colors. It creates contrast and the garden becomes the centerpiece of your yard. Putting light fixtures of various shapes will light up the garden at night. Garden fountains give an area an added serenity. You can stare blissfully as water flows on the rocks on a warm afternoon. Getting such a fountain doesn’t have to be expensive either. You’ll use coarse gravel, small smooth rocks, and big uneven stones. There’ll be some drilling on some of the boulders to set them in place. You’ll need a couple of water buckets and a water pump. That’s it! This fountain can have the uneven rough stones and small smooth rocks in a unique design. After placement, the water can start flowing over them. Interior designers like accent walls. These are walls with a bold and different color from the rest of the walls in the room. This same idea can apply when using landscaping rocks. You can put a large decorative stone somewhere in your yard. It could be a large red granite rock. Decorative stones are unique and add color to the landscape. This decorative stone will have smaller stones of different textures and sizes around it. Maintenance will involve rinsing the stones once in a while to keep them looking bright. River rocks tend to have smooth textures. These work well on pathways. Several long and flat river rocks placed strategically will create a path. Smaller rocks and gravel can fill up the empty spaces between the flat river rocks. Crushed red granite gravel can add texture and contrast to the path. The end of the path should have large slab steps. We know many different types of rock landscaping techniques you can use for your yard. The four ideas above are a quick example of great landscape designs. Not only will they make your curb look good, they’ll also raise the value of your home. Contact us to see what other ways our professional landscapers can beautify your yard.